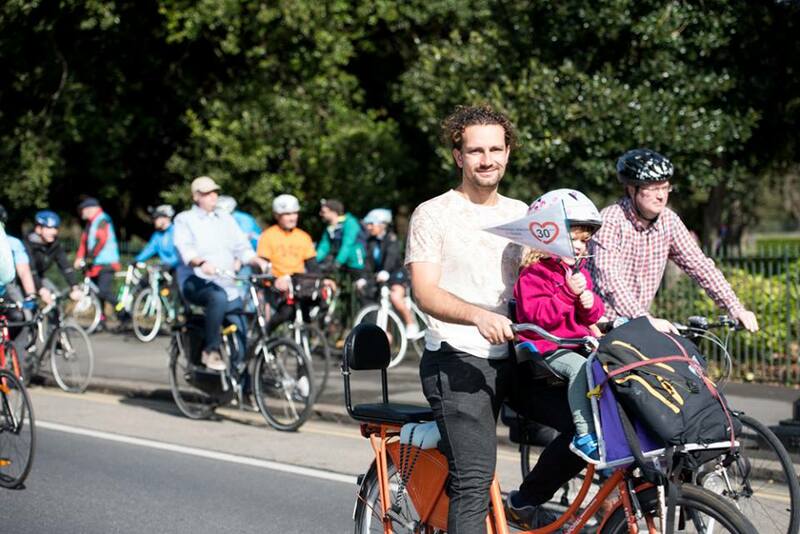 April 2nd saw over 500 cyclists taking over Dublin's quays for a family-friendly cycle to show support for the planned 4.6km cycle path between the Phoenix Park and the Point Village. A stream of cyclists left Wellington Monument in the Phoenix Park and flowed down along the Liffey to the Point Village. The event was run by Dublin Cycling Campaign and supported by Love 30, we got some Love 30 flags made up for the day, to celebrate Dublin city council's launch of a 30 km/h limit on most roads within Dublin's canals a few days previously.